Despite the expensive nature of property in Australia, there are still deals to be found for less than 500k in Australian towns with growing tourism industries. If you’re looking to invest in a holiday house in a popular tourist destination, it can turn into an expensive venture, but don’t worry. Despite the expensive nature of property in Australia, there are still deals to be found for less than 500k in Australian towns with growing tourism industries. 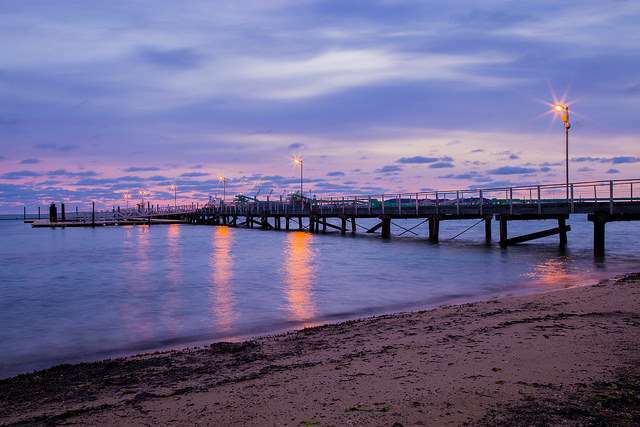 Due to its prime location and proximity to popular waterways such as Myall Lakes and Wallis Lake, and beaches like Cellitos Beach, Blueys Beach and Boomerang Beach, Smiths Lake is a small but popular tourist attraction with a population of 1,077. The median sales price of houses in the area is $422, 500, while the number of investors already buying in the area, according to the 2011 census is growing. Surrounded by lush coastal forests and some of the most magnificent waterways in NSW, rental prices in the area are on the way up. Bendigo made its mark on the world 150 years ago after the gold rush. Large quantities of gold were found in Bendigo between 1850 to 1900, more than anywhere else in the world, and the Central Deborah Gold Mine, which still operates today and attracts a steady tourist trade from all over Australia. This along with the vintage trams, historic gold rush era architecture, and the Golden Dragon Chinese Museum are a few of the reasons why Bendigo is a brilliant holiday location, hence why investors ownership in Bendigo as of 2011 was at 46.4%. Located several kilometres to the south west of PerthPerth, TAS Perth, WA is Margaret River, a compact but diverse tourist location that offers a variety of attractions. The median sales price of houses is $490,000. Visitors to the region have access to some of Western Australia’s premium wineries, microbreweries, beaches and forests, giving the Margaret River the luxury reputation it deserves. The combination of plentiful amenities and the beauty of the region only increases its appeal. The town stretches between two lighthouses north and south, and its waters host migratory whales from June to November, drawing crowds from all over Australia. Another city worth looking into is Port Lincoln. Located in the Eyre Peninsula, South Australia, it’s sometimes known as the ‘Seafood Capital of Australia’ and a popular destination for tourists. Established 1802, Port Lincoln was originally considered an alternative site for the state's capital, Adelaide. The median sales price for homes in the area is $314,500, while the number of investor owned properties in the area sat at 39.9% as of 2011. With a population of 14,500 people, Port Lincoln overlooks Boston Bay and boasts the largest fishing fleet in the southern hemisphere. Stanthorpe is located south-east of Queensland. Founded by tin miners, the town was celebrated for being the largest mineral field in Queensland and its alluvial tin mining. Nowadays, the area is recognised for its winemaking and diversity of produce. Situated at the heart of the Granite Belt, its picturesque views and productivity have earned Stanthorpe its name as a popular tourist destination. The median sales price of houses in the area sits at around $231,000 and with an already growing rate of investor ownership. From wineries and microbreweries to a spectacular countryside inhabited by balancing prehistoric granite boulders, Stanthorpe is a holiday destination perfect for both relaxation and those with an adventurous palate. The beauty of Coles Bay is renowned and revered, and that, of course is thanks to its stunning beaches and scenic views. Coles Bay is an idyllic seaside town overlooking Oyster Bay with a median house sales price of $387,000. 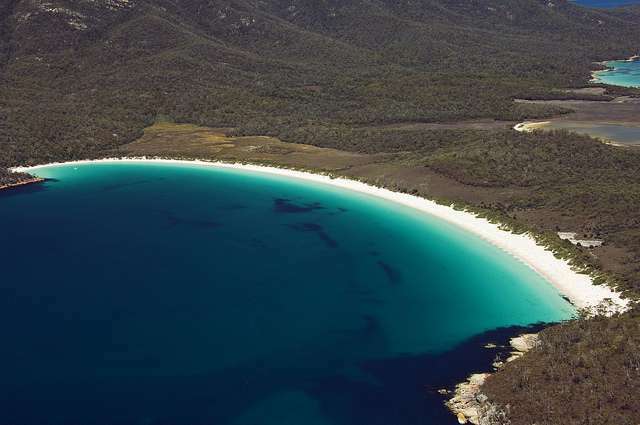 The town is the main entry point to exploring the Freycinet National Park, and on the list of top ten beaches in the world, Wineglass Bay. A must visit destination for tourists to Tasmania, they flock from all over the world for hiking, kayaking and the obligatory Instagram snap of the iconic bay. The Katherine region covers approximately 241 square kilometres, in which there are 11 national parks to explore. The median sales price of homes in the area rounds off to $332,000. Known as the place ‘where the outback meets the tropics,’ Katherine is famous for its natural beauty, and is home to stunning waterfalls, gorges, thermal springs and never ending landscapes. Tourists visit the area to kayak, trek, fish, and delve into the local historical culture. With a range of activities to choose from and endless stunning vistas, it is no wonder that the town of Katherine, is an increasingly popular tourist destination. Find out how much you can borrow in seconds with Lendi. Compare investment loans from over 30 major and non-bank lenders around Australia. Find a better investment loan today. Georgia Parry is a content writer at Lendi.com.au, Australia’s largest online home loan platform. Lendi makes it simple to get a better investment property loan online.